As part of its OOH media planning, AIB unveiled a customised billboard on Wednesday January 16th 2019 for its ‘Belief is Everywhere’ campaign. Utilising the full width of the 240-Sheet, it is the largest special build ever produced in the Irish market. 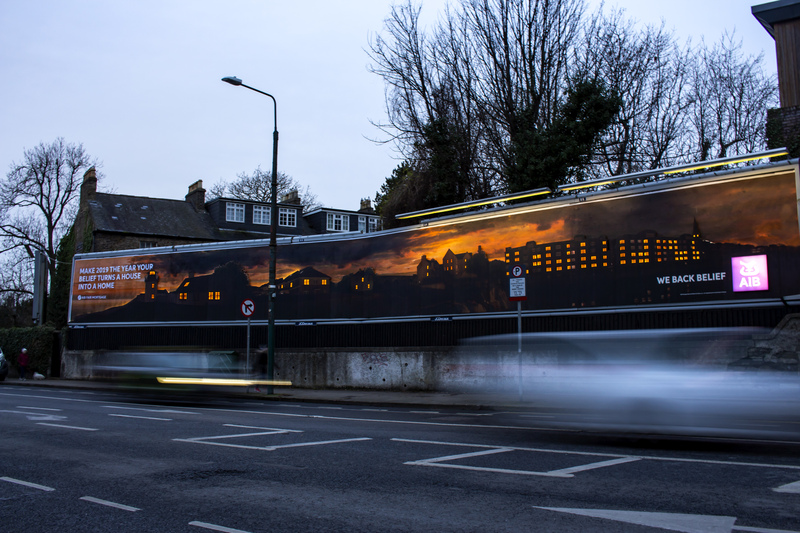 Located in Ranelagh, the 240-Sheet special is an iteration of the AIB ‘Belief is Everywhere’ TVC and consists of a 2D landscape with iconic structures and various houses standing out from the billboard. With 1,000 LED lights included and over 2km of electrical cable, a series of cut outs and windows span across the 82 sqm canvass that lights up sequentially. AIB launched its ‘Belief is Everywhere’ campaign in October 2018 with a TVC that shows selected windows in homes across Ireland light up to the sound of a melodic music-box, bringing to life and recognising the hard work and belief that Irish people demonstrate in the house purchase process. The campaign is running across OOH, TV, Cinema, Social and Search this month. 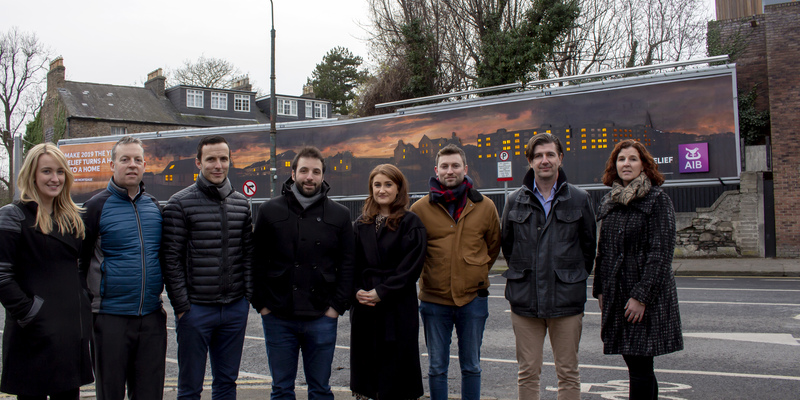 Supplementing the special, classic OOH formats across roadside and commuter environments, such as 48 sheets, Commuter Squares and the Digipole, located in Ballsbridge, aid broad reach and increase frequency in the capital. Starcom and Source out of home are responsible for the placement of the OOH campaign with creative produced by Rothco and the special build supplied by Eclipse 3d. The 240 sheet is maintained by media owner, JCDecaux.